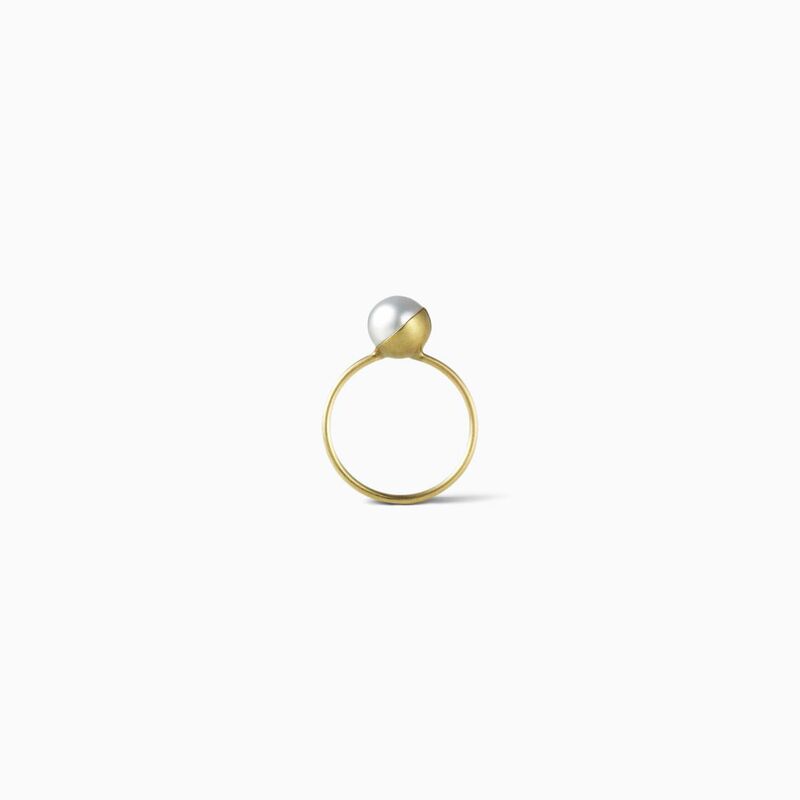 This ring features a pearl set in a half sphere of gold and sits at a 45 degree angle on the ring. 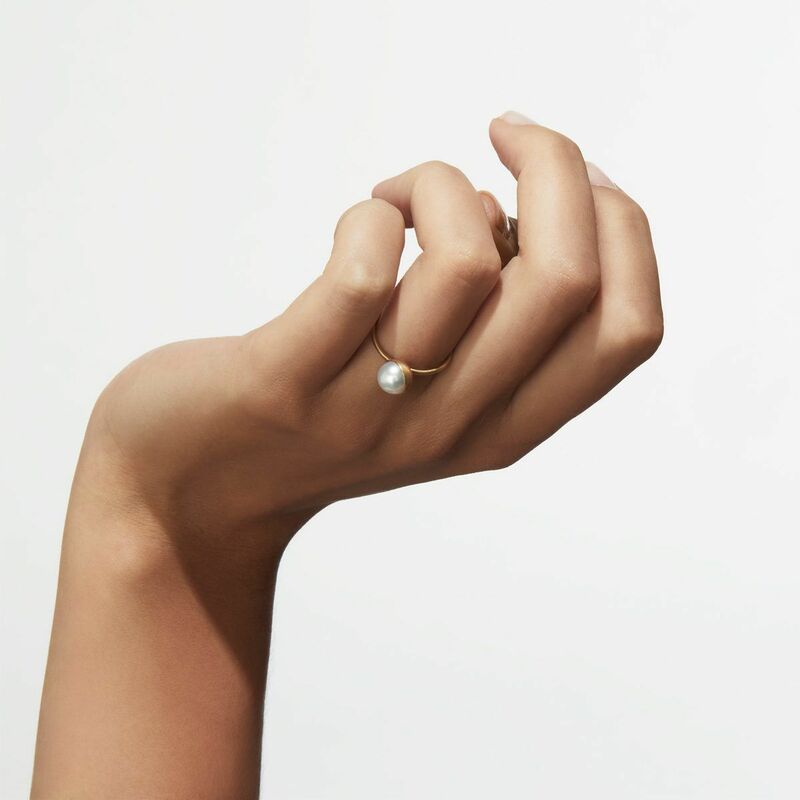 You can sit the pearl setting in between your fingers to fully expose the pearl. This item is made-to-order in Japan. Please allow 4 to 6 weeks for shipping. 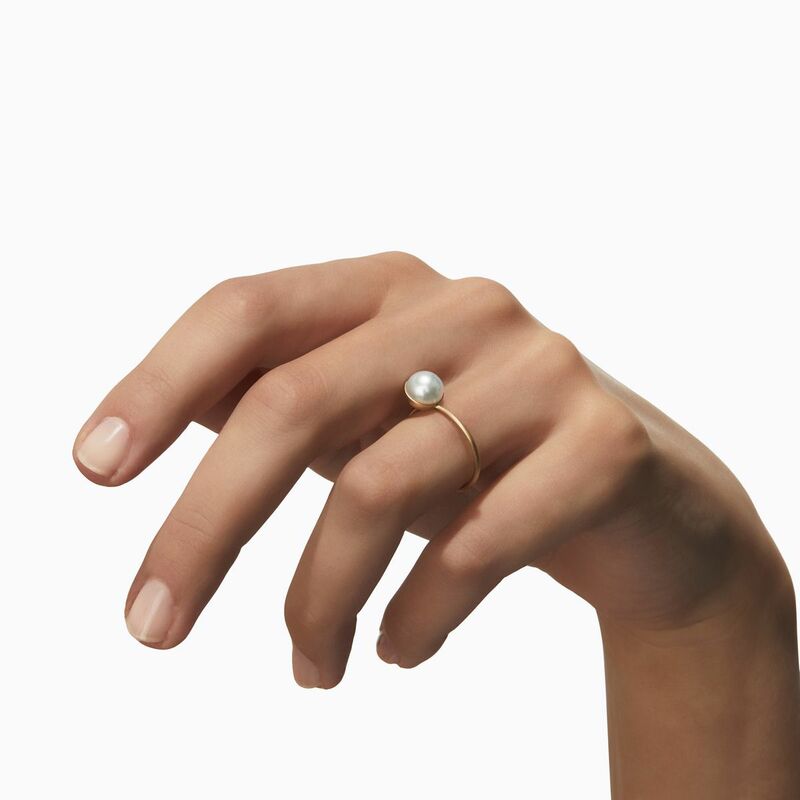 All rings are made-to-order in Japanese sizes. Please refer to the size guide for regional size conversions.